Get classic US-made Tele features with a modern twist. Carefully crafted in Fender's Corona, California facility, the American Performer Series is designed to bring an authentic Made-In-USA Fender experience, from tone to feel, to performing guitarists. Packed with player-oriented features and utilizing a range of modern materials, these are instruments that inspire. The American Performer Telecaster packs all the twang and spank you expect from a Tele in an alder body/maple neck package. 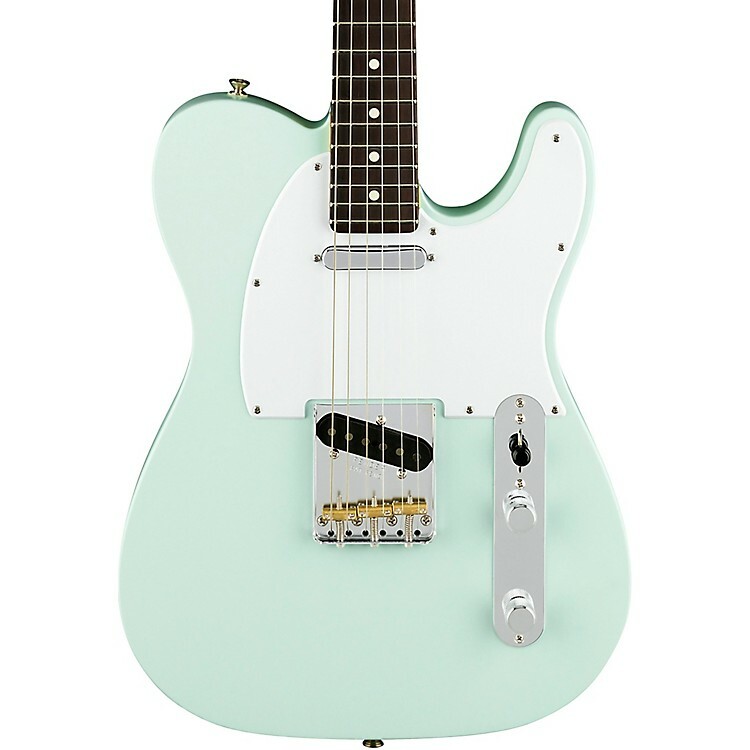 Featuring Fender's Yosemite single-coil pickups, with a flat-staggered pole design that evens out string response for incredible dynamic range and subtle shellac and wax potting that controls feedback while still letting the pickup "breathe," along with Fender's renowned Greasebucket tone circuit, it's got classic Tele versatility that fits into almost any genre or playing style. Own a Made-in-the-USA Tele. Order your American Performer Telecaster now.